A great news from Google Map is heading the southern part of India. Google has launched its new algorithm for regional languages. So far you would have seen Google Maps detecting areas and displaying them in one common language. People in regional areas who are not familiar with languages other than their regional languages find them difficult to gather information. Understanding the inabilities of the regional crowd Google Maps have come up with one of the latest and an interesting factor in it. It is the Neural Machine Translation technology. The added advantage of Neural Machine Translation is, it can convert the complete information into the required regional language. Initially, It was the application that could convert the information available on the map . But the new innovative technology has now become more flexible that even a layman can understand the information in his own regional language. Earlier the technology reached a few parts of the regional districts of India. As of 21st July 2017, the technology was effective to the southern part of India which included Chennai and its surrounding states. The New release on Dynamics 365 is a Sales and Business edition. The new sales application design serves the small-to-medium sized business. It is built on a Unified Interface which meets the requirements of different users and their perspectives. The application uses responsive web design principles that are instant. The instant setup can perform automatic integration and configure Exchange online and SharePoint. The Setup is also capable of importing data. Dynamics 365 for sales, business edition uses a couple of entities. These entities are not the ones that already exist in Dynamic 365 platform. You can make use of the entities except for the ones that are part of Dynamic 365. What Benefits The User With Customer Engagement? The Sales app converts lead to customers helping small and medium scale businesses. The app could also convert lead, account, contacts and task management. There are chances and relevance for the user to access the customer information. Also, understand the current scenario of the relationship. The sales team could pertain access of customer details from anywhere and anytime. The standard business operations serve better with tasks and converts leads to customers. How does data management deal with the sales app? The purpose and the use of import wizard can help with a quick derivation of data. With the help of standard Data Import Templates or .CSV files you could import data faster. Detection of duplicate content ensures avoiding the occurrence of duplicate data on your system. Making use of Office 365 tools help to join hands with employees and customers. There is a possibility of sending emails through Dynamics 365 for sales. Exchange online menu helps them with sharing of texts. This shares the sales materials with employees and customers through SharePoint Online. Start instant access with customers or employees through Skype /through Skype for business. There are possible ways to send texts or call your colleagues in your organization. Also, find the status of your users in your organization. The dashboards provide visuals and sales related data. Whereas, charts provide the visual display of information to understand the visual screenshots. Which would be an explanation of the high-level analysis of your data. UX enhancements improve readability on web apps and make data entry swift. Elasticity and application platform enhancements, with improvements in security and data management. Provided there are enhancements on in-app designer tools that permits admins. Proceeding with customization of tailor application using a graphical interface substituting codes. People who are screen readers could skip to content. Plugin users achieve great results. Browser plugin users skip to selective areas of the page. Keyboard users can save time and energy using the tab key. The Mobile app built with Unified Interface provides flexibility and responsiveness over design. The users need not download nor update the app on the store. But, receives functionality through Dynamic 365 server on an update of the current version. The functionalities on in-app tools allow users to access the apps through GUI. And neglects writing codes. The App designer with UX update simplifies functionalities of admin and developers. There are updates on the Apps landing page and Sitemap Designer. Related: App Designer & Sitemap Designer. What Turns Unified Service Desk Significant? At Last, The Unified Service desk needs a complete change that makes it significant. What made it turn to be one such? In the later version, the error diagnosis report had an options area on Unified Service Desk. Releasing the ease configuration the error diagnosis turns to Audit & Diagnostic Settings Area. Make use of Jaws version 18 for Windows screen reader apps with Unified Service Desk client. To know more on accessing Unified Service Desk for Dynamic 365, follow the link. To make customer engagement a brilliant achievement with dynamic 365. And to make sales and business editions to be a better experience the sales app has taken its way. There are predictions of the stated functionality to take place. Involving them would be a greater achievement on Dynamic 365 this year. Businesses are now evolving to newer heights and the practices are changing according to the needs of the businesses and customers. Project management is a tedious task as it involves time and money and even a small damage might cost high. When done properly, it might help save time along with bringing in proper prospects. Many software development companies and also web and mobile apps development companies are focusing more on project management techniques to improve the performance. This infographic has everything you need to know about proper project management. Rebranding – Will it be your next big decision? Why should I do? Will it eat my business leaving me empty? If not, then how will it profit me and my business? Will my customer stay on board if I do so? These are some questions that commonly arise when you think of rebranding. What is rebranding? Rebranding is a process in which one change their brand logo, tagline, website and sometimes even the company/brand name. It doesn’t happen all of a sudden. It is a difficult process that involves a lot of effort and time along with some huge sum and plenty resources. If you are a customer-centric company, then rebranding is sure to help/offer you with its full impact. As said before, rebranding involves a process in which something changes (be it a logo, a website or a workplace) to make it look or seem modern and attracted by and relevant to the end customers. 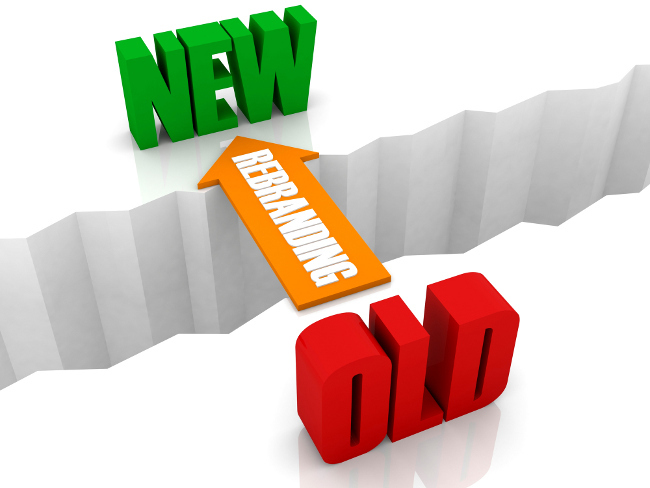 Rebranding gives a new look to your overall business and even your organization. It states that you are up to date and sticking up with the modern society and your customers. Will it eat my business leaving me empty? This question is hypothetical. Sometimes the answer is ‘yes’. But don’t panic. Rebranding is sure to take you and your business to a new level that you dreamt, only if the correct and appropriate process with a detailed plan is followed. The process of rebranding fails and lets you down only when the process is followed/executed. If not, then how will it profit me and my business? Will it lend some profit or brand awareness? The answer is obvious – YES. The following couple of points is the primary advantages of rebranding. More that what you think. You customer are sure to love the changes your company does. Rebranding tells that you are updated and committed. Which attracts your audience and makes them repeated customers. New brand or rebranding always has the reach with the help of the newcomer advantage which reflects very much on your profit. Will my customer stay on board if I do so? As said rebranding a company is a head breaking process. But if it is done good and with proper rebranding strategy, then you are sure to yield what you expected and sometimes more that what you think. You customer are sure to love the changes your company does. Whatever it be, say a logo change, a website revamp or even a brand name change, your customer like their brand to be unique. When you satisfy their expectation, you and your brand are sure to be in the top list beating down the competitors. You keep changing your look according to the changing society. The same applies for companies and brands. Stay up and stick with the modern world to beat down your competitors. To know how to rebrand your business, you have to wait for few more days where we will post an article explaining the detailed process. A graduate in Engineering and Journalism with a passion for photography and travel, Dhinesh Rajarathinam loves to write about various niches from arts to technology. He is currently working as a Technical Content Writer in K2B Solutions, a leading Web and Mobile App Development Company in India. Author K2B SolutionsPosted on July 28, 2015 Categories GeneralTags re-branding agency, rebranding, rebranding a company, rebranding strategy, rebranding your businessLeave a comment on Rebranding – Will it be your next big decision? As the innovator of many things, Facebook has stepped its foot to help Journalists and even the reader. 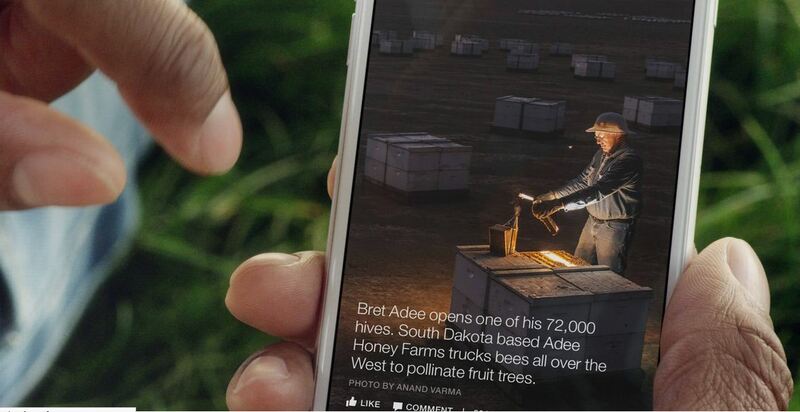 Yes, Facebook has launched a new feature called Instant Article which helps readers to view easily and read articles, shared over the Facebook, on their mobile app’s news feed. After months of continuing rumors, they rebelled and launched this feature last week. The debut is greeted with articles which contain rich media (images, video) from top publishers like National Geographic, The New York Times, NBC, BuzzFeed, BBC News, The Atlantic, The Guardian, Bild and Spiegel. What will it do in the newsfeed? Everyone knows that Facebook will try to do things differently and will succeed at that task. The same happened in the Instant Article feature. As reported by Facebook, it takes eight seconds on average to load an article on Facebook. But, Instant Article is so fast that it loads articles ten times faster that that of mobile read articles. Instant Articles are not only faster but also have many attractive features that help publisher to bring their stories to life. It has one feature where the videos play when scrolled. These articles come with inline comments i.e. one can easily comment on the individual parts of the article. There is also a zoom-in feature and high-resolution photos that help viewers to view images easily and conveniently. Facebook allows the publisher to sell ads if they wish which is an attractive and very useful feature for the publishers. They are also allowed to track the articles metrics using a tool called comScore or they are given the freedom to deploy their tool to track metrics. Why is it so useful to the publishers? It is going to be one revolutionary tool for every publisher as it has some features that a publisher requires. Top 6 trends and technologies that’s changing our future! We have heard that “necessity is the mother of all inventions”, however, what is driving our innovations in modern times, is more than just necessity, it’s our “need” for futurization – meeting the technologies that we see in Sc-Fi movies! We have already experienced how convenient it is, when our various devises such as smart phones, laptops and desktop computers are connected via network and make possible for a synced experience. Now, there is our TVs, watches, eye-wares and even cars capable of staying connected with each other and offering us unworldly comfort and accessibility. This user pleasure doesn’t seem to stop there; with our fridges, heaters, electric meter and other appliances being able to stay connected and communicate between each other, the possibilities of this technology is practically – limitless. 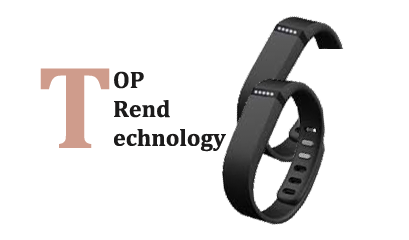 Closely working in tandem with the above tech, the trend for having devices that are wearable is the “talk of town”. You wear them where you go, from activity bands and Google glasses to smart clothing and smart helmets; the wearable device trend is fast catching on and is leading every tech company out there to wage a war of innovation. These devices can keep track of their user’s daily activities and habits, to provide them with the right information – before they ask for it – how good of a future is that? Anyone who has seen Augmented Reality in action will know immediately that mankind has made a breakthrough with this technology. Like touch screens that changed the way we use some of our devices, the AR has the power to alter our realty to a whole new level. This amazing technology connects the virtual world with the physical world seamlessly. And with the type of connectivity we can envision being available in our coming future, this AR can open-up an engaging user experience across its digital space. Now, with Google searches and email spam filtering we understand how our usage history and data can influence the future results. However, this is getting to be obsolete, as newer and more powerful technology is on its way. Called the Machine Learning Algorithm – this technology is based on the advancement in the algorithm of data collection and analysis. The algorithm is such that the system learns, develops and adapts to one’s personal usage, thus becoming capable of predicting and suggesting your future engagements. Smartphone’s these days are probably used by more than half the human population on earth. They are with us right through the day, now they can collect information on our day-to-day activities and provide related recommendations, for example on what we can eat, where we can go, what we can read, etc. The mHealth’s potential to direct and improve the lifestyle of numerous users is unparalleled. The creative possibilities of 3D printing are only left to your imagination. From artistic creations to business potentials, like for sampling architecture or house planning and designing, this technology is beyond the capabilities of any other printer you might have known before. Being able to literally print solid objects, 3D printing could become a perfect business potential. Companies would no longer need to keep a warehouse of spares – they can just print them into existence! Online courses have been around for a long time now, however, its practicality when compared to traditional certification methods, was very negligible. This seems to be changing though, as lot and lot more of students are enrolling on these online certification courses. Even physical universities have started to offer many online certification courses for their students; this includes globally top ranking universities. Have you heard of bit coins? If not – then, they can be considered as something that’s effectively equal to our physical currency, only now they are Virtual. Thus, unlike debit cards or credit cards that represent physical cash that can be used online, these virtual money are on a different level. They are currency on their own rights. Which, you can use to make your purchases or other transactions. How, effective this will be is left for the future to decide. Author K2B SolutionsPosted on September 5, 2014 Categories GeneralTags augmented reality, mobile apps, mobile trends, modern technologies, new web design trends, web design trends, web technology, web trendsLeave a comment on Top 6 trends and technologies that’s changing our future! Augmented Reality or AR is a cutting-edge technology that enables a digitally enhanced view of the real world. It is alive, either direct or indirect, view of physical and real-world environment in which elements are improved by computer-generated sensory input such as video, audio, graphics or GPS data. The possibilities of Augmented Reality are nearly endless. It enhances one’s current perception of reality. Using Augmented Reality, the artificial information about the environment as well as its objects can be overlaid on the real world. The main objective of Augmented Reality is to build a system in which the user cannot be able to find out the exact differences between the virtual amplification and the real world. 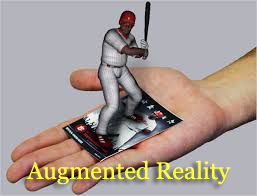 Hence, Augmented Reality is used in almost all industries today. Now, let’s take a look at how augmented reality actually works. This will give you a pretty knowledge of why and where we are with Augmented Reality applications, and what is going to take this technology up to the next level. To understand the process clearly, we will break the process down into the necessary components that make Augmented Reality possible. There are different options, such as a projector that can be placed on the top of the surface you want to augment, or the another common one, a monitor or television that provides a clear view of reality through a remote camera, and also the power to display graphic information based on the things that are added by the production team in their broadcast studios or your computer hardware. Also, you have some other devices for other senses like a glove or earpiece that could provide more information to both the sense of touch or hearing. Whatever may be, something must be there in between your organic senses to allow them to transform an unseen stimulus into something that you can able to detect. The first and foremost thing that you need for Augment Reality is absolutely some reality. If you have some reality, then you can possibly create an exclusive virtual world. So, the main thing that you need for Augmented Reality is a window on the world. Either a remote view through a video screen, or the location with which you want to augment, you need the canvas of reality to add information. If there is no reality, there is no Augmented Reality. After getting your background environment, you need to think about the way of displaying the augmentations. The main idea of Augmented Reality is to provide information about your environment, that is, otherwise not detectable to your naked senses. So, to make this to work, you need a method of exhibiting those annotations that would not normally exist. Most often, an effective frame is needed through which you can look at the world. The typical examples are mobile phones, head mounted display like a visor or glasses, heads up display, or tablets. The second option is the Internet, which is the great source of freely accessible data. For example, Wikipedia, Facebook, Flickr, Twitter, etc., are some of the sources where you can able to retrieve data such as photos, telephone numbers, status updates, likes, dislikes, and so on. No matter wherever you retrieve information, you need a live connection to that information for Augmented Reality to work. You need to use high-speed cables to have a direct and flawless connection between the computer and your windows on the world, i.e., your Augmented Reality display device. For consistent Augmented Reality experience, the user must rely heavily on coverage and speed of the Internet connection. The hardware is in place; however, there is a lot of reality out there and a huge amount of information on the Internet for your Augmented Reality display device to connect to. Now, you need some software to recognize what is coming into your device from the outside environment, call up the needed information according to that, and then instruct your mobile device or HMD to display and overlay the data flawlessly. However, you will require some graphics processing hardware that works appropriately for the initial recognition part of the process and also having the capacity to generate the augmentations for the users to view. Moreover, all of these have to be done in real-time for it to work. The initial recognition part includes using GPS to track the user’s location instead of having to rely on the software to perfectly identify the user’s environment based on a view of information through the lens of your mobile device. Perhaps one of the difficult tasks of all is nothing but tracking the virtual objects and render them perfectly in 3D, so that the users can able to move through their environment while still receiving perfect annotations of what they view. It might be possible for an application to pull in 3D information of absolutely everything in a scene. Hence, it is significant to have something that is both selective and self-effacing as well. This is nothing but augmented reality, and both the augmentations and the reality are just as imperative as one another. These are the elements that made Augmented Reality possible. If you manage to complete that chain from one end to another, then you can have a system that works well, and is hopefully useful at the same time. Author K2B SolutionsPosted on April 7, 2014 Categories GeneralTags 3d augmented reality, augmented reality application, augmented reality architecture, augmented reality development, augmented reality technology, how to make augmented reality, what is augmented realityLeave a comment on How does augmented reality works?